A Mammoth task indeed is it possible to re-create one from DNA well an International team thinks it possible to recreate this huge beast; the thing is why; it died out more than 10.000 Years ago, the real question facing us is do we really want Sabre toothed tigers and the like roaming the Earth once again. Still these jokers appear to be on track with this and it seems DNA was extracted from a well-preserved 27,000-year-old specimen found in the Siberian permafrost. So far, about 30 million "letters" of the genetic code have been read, albeit in small pieces, representing about 1 per cent of the entire code. Looks to me as though it will take ages anyway would these people be more gainfully employed trying to find this world of ours a better place to live in? I reckon they would. 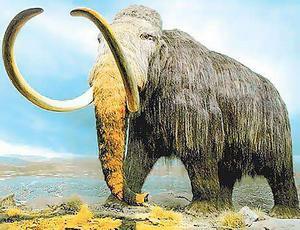 Scientists in Japan and Russia have announced plans to attempt to clone woolly mammoths with the help of the ancient animal's living relatives and, despite scepticism that they will be successful, this recent development will renew interest in the idea.Personally I think they are as nutty as the first lot. so if you see one of these Flee for your very life Which looks the more dangerous of the two? 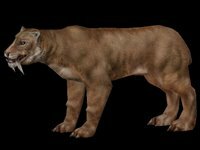 they both do to me and of course there were many other Prehistoric animals as well. Jurassic Park was enough I think lol...good movie but. ...to wrongly blame a man and then fail to correct their error...this is done so very easily... ALL THE TIME ...look at the way they treated their ex Ghurka soldiers who were denied citizenship and the right to live in the UK...they laid their lives on the line though. So for years this poor man's family were led to believe he was a self styled cowboy showing off when in fact he was saving a child's life. No wonder their colonies decided to break completely free of this cruddy little Island...this was reported in the British Daily Mail. 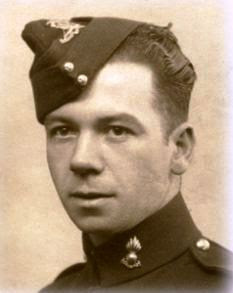 And to think that the truth came to light only when the mayor of the town where it happened traced the soldier's relatives to tell them a road was being named in his honour as he was considered a local hero...his family now want the Ministry of Defence to amend the bombardier's military service record to reflect his heroism...a medal for heroism wouldn't hurt either now either would it. I first read it on here along with the rest of the world otherwise it would have faded into obscurity source.